Link Interactive is a relatively new company that has become more and more established and trusted as time has gone on. Link Interactive is known for its competitive rates, solid customer service (which is hard to find from many competitors) and quality/long lasting equipment. They offer both renter’s and buyer’s insurance, as well as a state of the art cellphone connected service. This company also have basic packages for minimal and effective monitoring, as well as complex security for those who need a little more advanced monitoring. Link Interactive is known for its advanced technological security system. The system incorporates uplink through cellular towers in the area. This is a rare capability to be offered by a company in the industry, and Link Interactive specializes in it. Rather than relying on your landline or wireless, the entire system can use the existing cell towers to communicate directly with monitoring stations. This way, if you ever find yourself losing power at home, you won’t need to worry about your security system. Link Interactive’s platinum deal is just $5 extra each month, but you get high depth video capability. The cameras have night vision capabilities as well as high definition quality imaging. They are also motion sensitive and are monitored all hours of the day by a professional monitoring center. You can check on your house by logging on with your phone. You can also use Link Interactive’s specialized app to live stream footage directly to your phone. If you want to watch back footage or you’re busy, you can use the app to schedule a video at a precise time. With Link Interactive, you won’t suffer through the hidden fees and installation charges that many other companies may put in your contract. With Link Interactive, you can avoid the $200+ installation fee you may have to deal with. The system can be installed for free. The Gold and Platinum packages offer this feature as well as shipping and support for no extra charge. You simply pay for the cost of the equipment and a service charge each month. Some of the equipment is included, but for the most part, you choose the things that seem most relevant to your needs and you won't need to pay for the things you don't need. You don’t have to lock yourself into a plan or equipment you won’t use. Choose the equipment you feel is most pertinent to your needs, and switch things around whenever it becomes necessary. Link Interactive's plan gives you the ultimate independence. Damage can occur to your equipment if your house is too cold or too hot at any given time. Link Interactive has an easy solution to that. 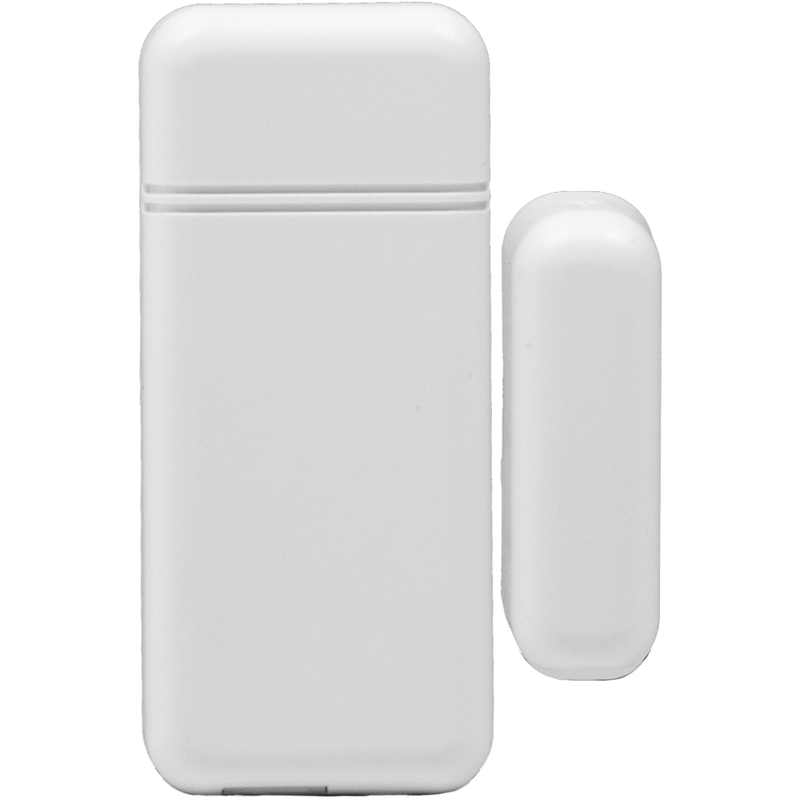 With the built-in temperature sensor, they monitor the temperature inside your house. Should you experience any heating or thermostat mishaps, you can receive a message on your phone immediately, so that you can take care of the problem before it gets too big to handle. It also alerts you when it senses any extreme cold or smoke. Being able to closely monitor the temperature in your home in this way will allow you to save on heating and cooling cost all year round too. 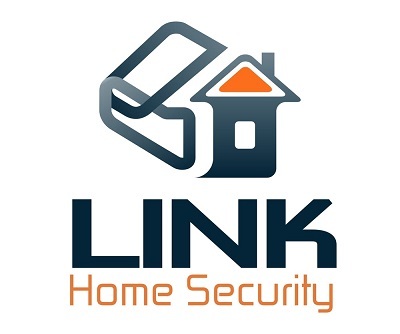 Link Interactive allows you to use your phone to automate your entire home security experience. 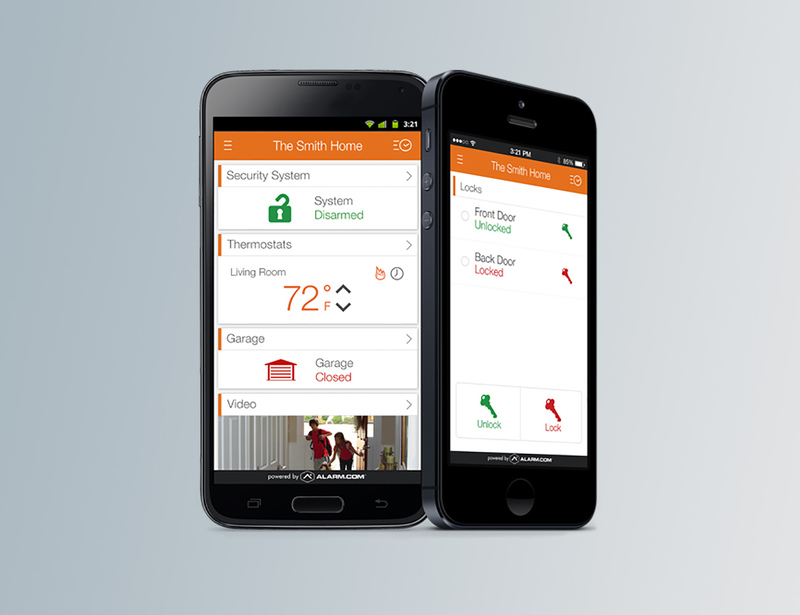 You can control the locks, lights, or temperature from your mobile device. Different plans give you access to different light bulbs, lamps, a garage door remote control, or even specialized thermostats. Geoservices is included too, which means that an alarm system can automatically activate when the owner’s smartphone leaves the property. The scope of your control is endless with this security system.